UPDATED, 27 April 2017: It has been told that Kang Gary's first solo concert in Malaysia this 21 May 2017 has been cancelled due to unforeseen circumstances. 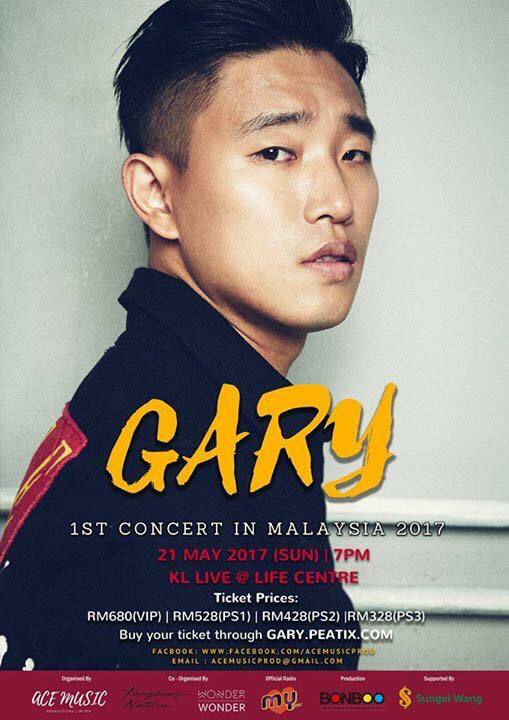 "We regretfully inform you that Gary’s 1st Concert in Malaysia scheduled for May 21st has been canceled due to unforeseen circumstances from Ace Music," the organiser posted a statement. "To all the waiting fans and affected parties, we sincerely apologize for the inconvenience and disappointment this has caused you all." Please visit the organiser's Facebook page for refunds. While the “Running Man” cast has already announced their upcoming tour in Malaysia, it seems that another old friend from the show will be coming to the country as well! Former “Running Man” star Kang Gary (real name, Kang Hee-gun) is set to hold his first ever solo concert in Malaysia on 21 May 2017 at KL Live. This was not the rapper’s first visit to Malaysia as he was here in 2015 as a special guest for the MATTA fair. 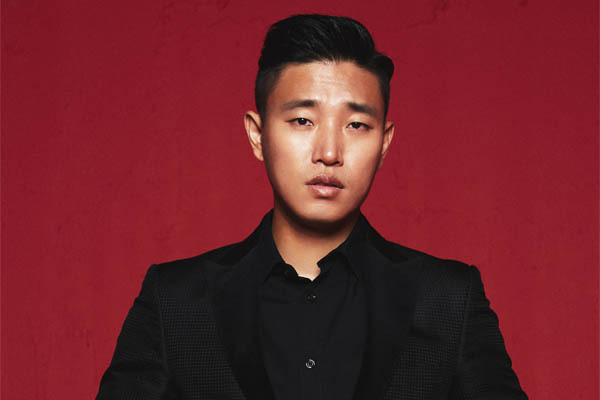 Besides a solo artiste, Gary is also the rapper and lyricist of the hip-hop duo Leessang together with Gil, and he was also one of the regular members of the famous variety show “Running Man”. After being with the show for almost seven years, the 39-year-old left “Running Man” in 2016 to focus on his music career. Ticket prices for Gary’s solo concert cost at RM680 (VIP), RM528 (PS 1), RM428 (PS 2) , and RM 328 (PS 3). The VIP tickets are limited to the first 600 people, and each VIP ticket comes with a chance to either win a Group Photo Session, Hi-Touch Session or Autographed Poster. Meanwhile, the PS 1 ticket comes with a chance to win Hi-Touch Session and Autographed Poster. Tickets can be purchased via Gary.Peatix.com.